Arc Jacksonville employee, Ina Martin created a multi-sensory room to help increase cognitive and physical stimulation for participants in the Discover Life program at the Westside. Sensory rooms are used as a form of therapy to help improve and develop social and cognitive skills. Sensory Rooms were developed in the Netherlands in the 1970s and are more commonly known as Snoezelen Rooms. While multi-sensory rooms can vary in size and complexity, the rooms are designed to stimulate a person’s senses in a variety of experiential ways, ranging from calm and reflective to heightened and excitable. The idea of a multi-sensory room is to explore sensory stimuli in a safe and structured environment. Examples of objects that may be included are: flashing lights, soothing music, textured objects and colored walls. Martin plans to continue adding items to the room and working with staff to come up with even more interactive ideas for the multi-sensory room. 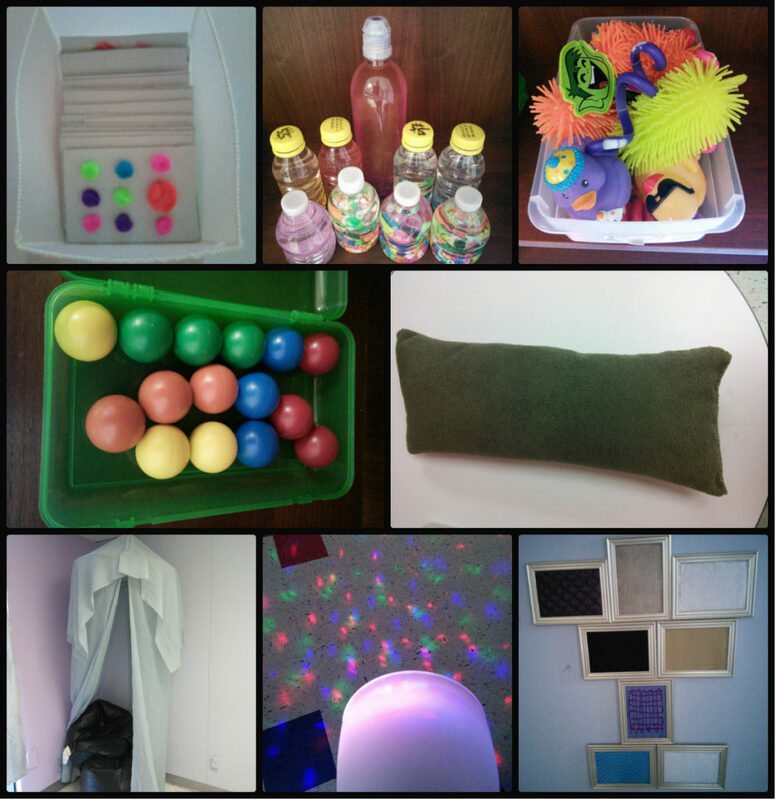 The items below are included in the Westside’s multi-sensory room. Textile Box – The textile box is full of small objects with a variety of textures and includes items such as feathers, pom poms and squishy balls. Magnetic Balls– Individuals roll magnetic balls between their hands as a method for calming and relaxation. Green Pillow- This handcrafted pillow is designed to be soft and huggable and is used as a calming aid. Tent– The tent provides individuals a quiet space to sit, relax and have time to themselves. Multi-Colored Lights– These lights provide visual stimulation, which can be both calming and relaxing to watch. Texture Wall– Several textures have been framed and hung on the wall. The textures include: burlap, sand paper, black silky material, soft white material, bubble wrap and a material with ripples in it.